In recent years, Philadelphia has been hailed for its increasing accessibility to cyclists. In fact, the city’s bicycle commuter population has grown by 296.5 percent in the last 25 years. But beyond the growing number of bike-friendly city streets in Philly lies a tremendous number of mountain biking trails that are primed for weekend warriors and experienced riders alike. If you’re a cyclist who prefers trails over roads and dirt over pavement, check out our top spots for mountain biking in and around Philadelphia. 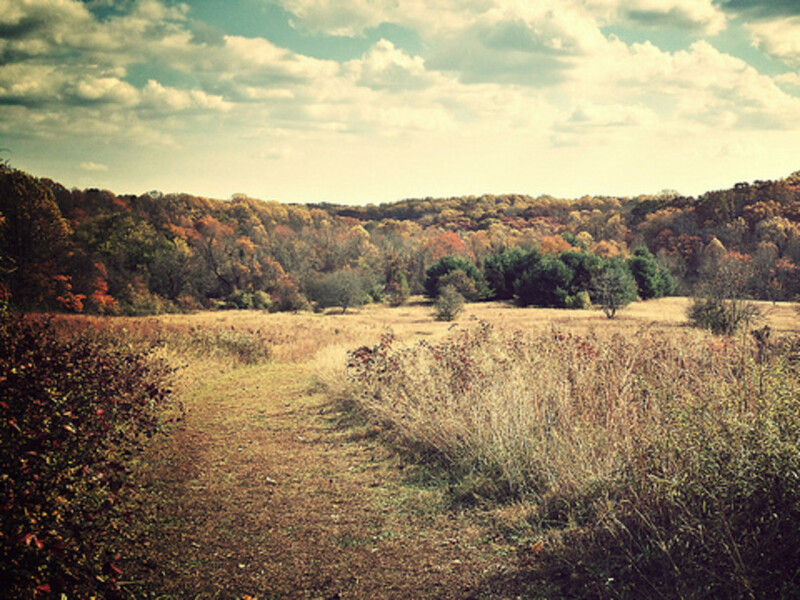 Belmont Plateau: This urban mountain biking mecca sits right in the heart of West Philadelphia inside of Fairmount Park. The trail mileage isn’t tremendous, but the winding, skinny singletrack will take a few hours to ride. Be warned that Belmont is not for everyone—the difficult terrain is twisting, turning, and strewn with logs—but if you enjoy loopy, technical courses than this is the spot for you. Even better, the Plateau is relatively quiet, so there’s little risk of other bikers or hikers interrupting descents down some of the well-known hills. Wissahickon Valley Park: “The Wiss” is a perfect blend of hills, flats, singletrack, doubletrack, technical spots, and smooth trail. With more than 50 miles of trail, this city park is the most popular spot for Philly mountain bikers. Be aware that riding on these trails requires a permit, which can be obtained from the City of Philadelphia Parks and Recreation department. The trail difficulty ranges from beginner to advanced, with some smooth and flat trail, grinding inclines, and fast, technical descents. 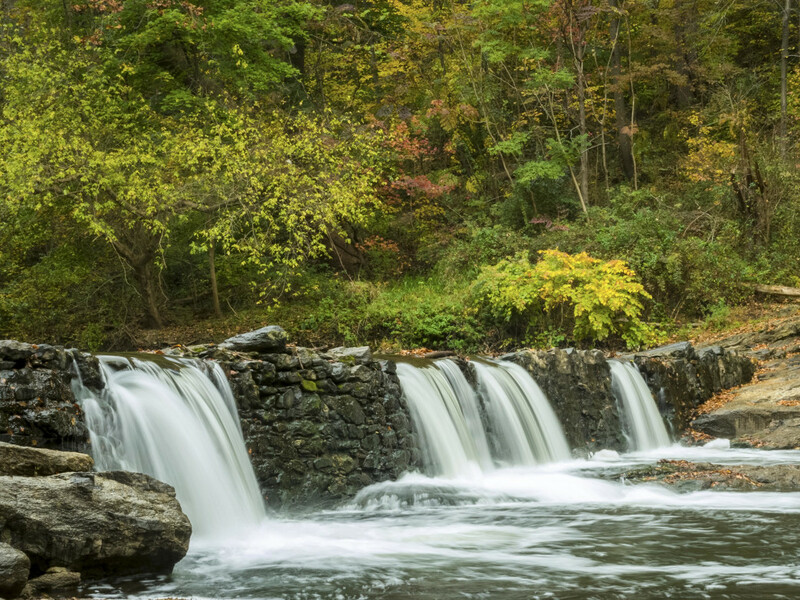 The only downside of Wissahickon is that because it is so easily accessible and contains a variety of skill levels, the park can be fairly crowded during the weekends. Go early or late to avoid day hikers and be sure to yield to horses, runners, and hikers. 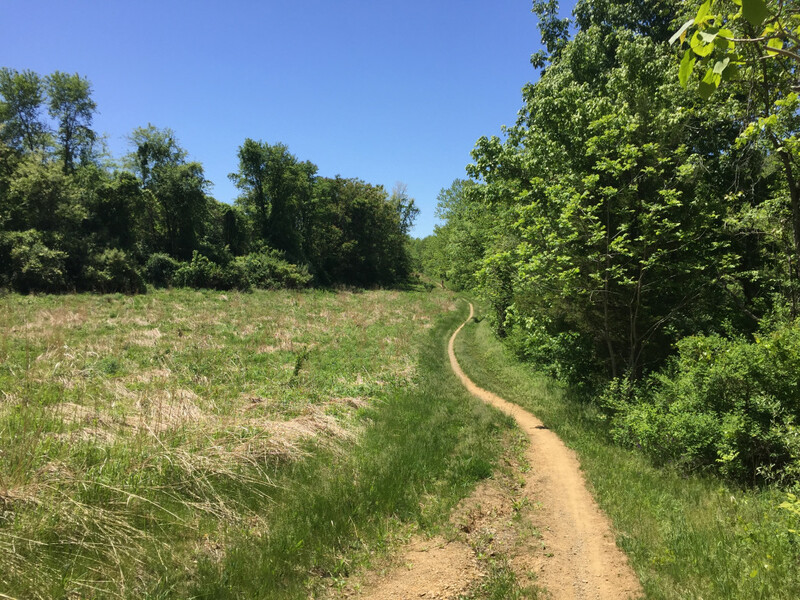 White Clay Creek Park and Middle Run County Park: Though White Clay and Middle Run are both located in Delaware, about 45 minutes to an hour drive from Philly, they are most certainly worth the trip to get to these smooth and well-maintained trails. The two parks are connected by more than 35 miles of trails , which are very well marked for those unfamiliar with the trail system. 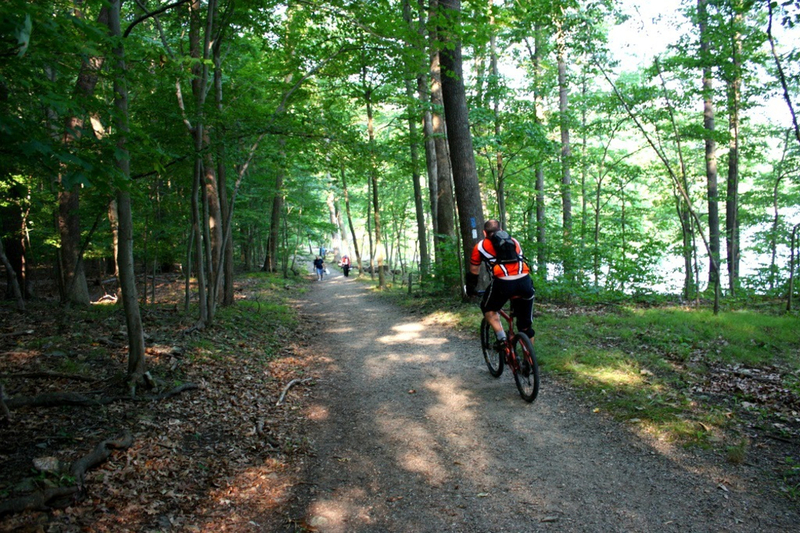 Lake Nockamixon State Park: Located about an hour north of Philadelphia in Bucks County lies a slice of mountain biking paradise known as Lake Nockamixon State Park. In fact, there’s a whole site dedicated to the mountain biking trails, which contains maps, conditions, and general information about the trails. 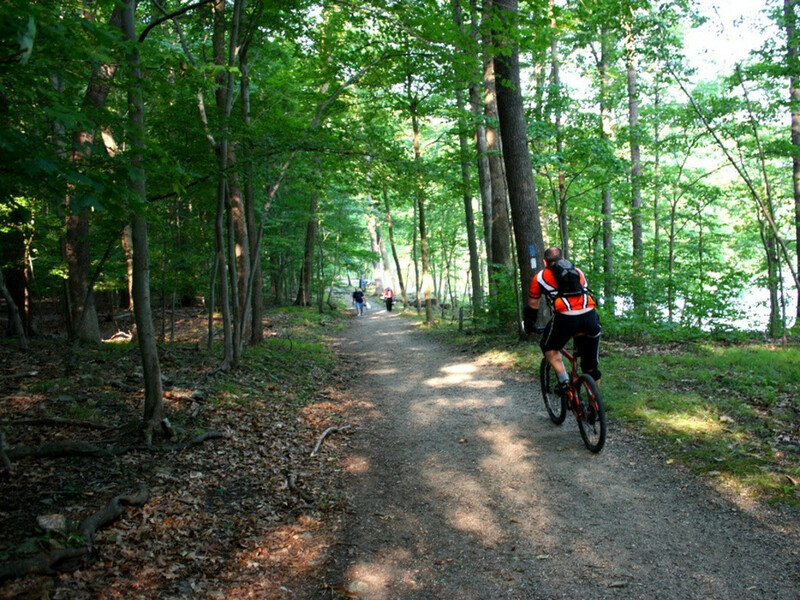 The 9 miles of looping beginner and intermediate trails at Nockamixon are maintained by the Valley Mountain Bikers, a cycling club who works on trails throughout the Lehigh Valley. Head north from the trailhead for beginner trails, and head south from the trailhead for intermediate trails. Blue Marsh Lake: One continuous 30-mile loop trail circles scenic Blue Marsh Lake, which sits 80 minutes northwest of Philadelphia near Reading, PA. This intermediate mountain biking trail is marked with mileposts, allowing you to leave the GPS at home. The rolling hills are challenging, yet rewarding on the downhill. Bring bug spray to shoo away the deer flies and be sure to yield to hikers, birdwatchers, runners, and horses. If you’re riding the whole 30-mile loop, start at the north end so you can refill water bottles at the visitor’s center located at the south end of the loop.